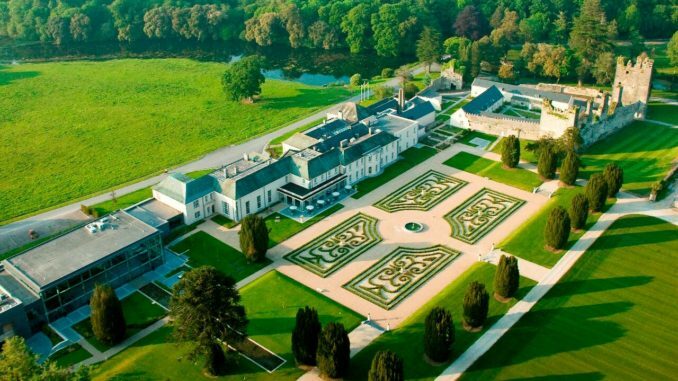 Family vacations are 5-star treats this summer at Castlemartyr Resort, with hotel stays and luxury self-catering options available, perfect for relaxed and luxurious summer holidays. 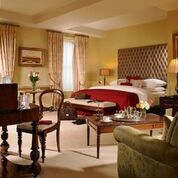 With accommodation starting at €199 per night, there are family suites available in the main hotel, as well as the gorgeous Walled Garden lodges set within the historic original walled gardens of the estate. A two-night stay in the luxurious hotel at Castlemartyr Resort includes B&B plus dinner on one evening for the family in Franchini’s, a family pass to Fota Wildlife Park or Leahy’s Open Farm, a kids activity pack and milk & homemade cookies at bedtime. 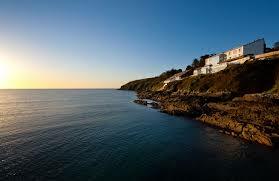 This package is available from €265 per night, based on a two night stay, with reduced rates for additional nights. With outdoor lawn games, a kids’ playroom and walking trails on site, Castlemartyr Resort is also close to Blue Flag beaches and lots of fun family activities for memorable days out. During July and August there is a Kids Club running from Monday to Saturday too for children aged four and older, with plenty of exciting daily activities. 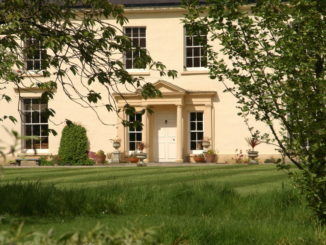 Three-night stays in a two-bedroom Walled Garden lodge start at €199 per night, set in the grounds of the former orchards and greenhouses, and home to one of Ireland’s oldest trees, “The Cork Tree” located in the South West corner of the walls. Equipped with everything needed to make any summer holiday a breeze, with views of the golf course and the parkland, these spacious contemporary lodges are flooded with natural light and surrounded by peace and quiet. With wooden floors and stylishly furnished to the highest standards and specification, each Walled Garden lodge has bright and spacious open-plan living, dining and kitchen area, lavish decks overlooking the grounds, and car parking directly outside each lodge and guests of the self-catering lodges can enjoy all the 5-star resorts facilities during their stay. 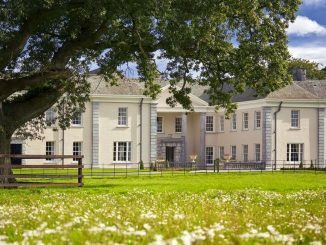 Family holidays at Castlemartyr Resort offer ease and pleasure, activities and treats, all in the perfect summer setting of wonderful East Cork visit www.castlemartyrresort.ie. 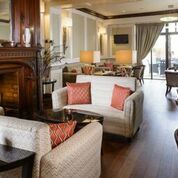 Why wait for the weekend to escape for some rest and relaxation when Muckross Park Hotel & Spa is calling your name with their latest Mix up your Midweeksummer offering for the perfect midweek retreat. Muckross Park Hotel & Spa is a magnificent 5-star destination hotel in the heart of Killarney National Park – a location of unrivalled natural beauty surrounded by beautiful woodlands, lakes and mountains. 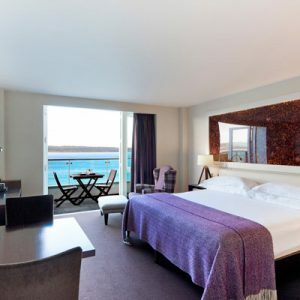 The Mix up your Midweek package at Muckross Park Hotel & Spa includes an overnight bed and breakfast stay in one of their gorgeous deluxe bedrooms with a king size bed, free Wi-Fi and 24 hour room service to make your stay as comfortable as possible. 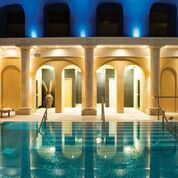 Guests can enjoy unlimited access to The Spa at Muckross and use of the vitality pool and thermal suite. 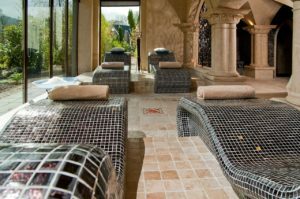 The Spa at Muckross is the perfect sanctuary for those seeking a little relaxation and rejuvenation where the spa’s outdoor hot tub, Jacuzzis, steam room and relaxation room are just some of the fabulous facilities that await you. Spoil yourself by trying one of the award-winning spa’s pampering treatments. Free bike hire is also included so that you can set off for a leisurely day to explore the many local attractions, such as Torc Waterfall and Muckross House, which are all on the doorstep of Muckross Park Hotel & Spa. Come discover the magic of Muckross Park Hotel & Spa this summer. Head west this summer for a two or three night stay at the beautiful Knockranny House Hotel overlooking the picturesque town of Westport, Co. Mayo and receive a complimentary walking tour of Westport during your stay (July and August) with Westport Walking Tours – just make sure to pack your walking shoes and get out and about for a fun day of exploration. Return to the hotel to the luxury amenities on offer at Knockranny House Hotel including a lovely pool, sauna and steam room in the gorgeous Spa Salveo. 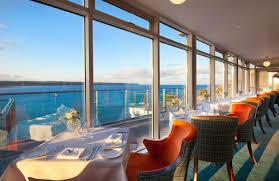 Enjoy dinner in La Fougere, the hotels’ sleek and stylish restaurant, with breathtaking scenery of Croagh Patrick and the Nephin Mountains and serving dishes prepared using only the best of fresh local produce- a real culinary treat. 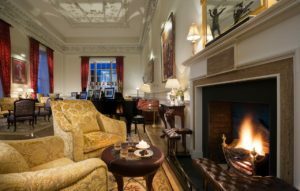 A two-night package in Knockranny House Hotel with complimentary Westport walking tour, breakfast each morning, dinner at La Fougère restaurant on one evening of your choice costs from €169 per person sharing. Extend this package to a 3 night stay from €289 per person. To book or for further enquires please contact Knockranny House Hotel & Spa, on 098 55155. Innovatively designed to take advantage of its location, Cliff House Hotel, a member of Relais & Châteaux, is an intimate 5-star hideaway carved into a cliff in West Waterford, set against the backdrop of the striking coastline. The hotel has a ‘wet’ spa, The Well at the Sea, which has a view-wrapped pool, outside baths and a hot tub overlooking Ardmore Bay on the country’s south coast. Cliff House Hotel is located perfectly for a Greenway Getaway. The Waterford Greenway is a spectacular 46km off-road cycling and walking trail along an old railway line between Waterford and Dungarvan. Enjoy a beautiful journey across three tall viaducts from the river to the sea. 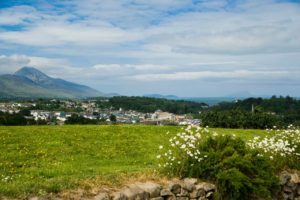 Attractions along the route include world famous gardens, Mount Congreve, the Ballyvoyle Tunnel, Kilmeaden Castle, as well as views of the Comeragh Mountains and Dungarvan Bay. Or you can bring a gang and try the Tour de Cottage which includes a two night stay in the Cliff Cottage for up to six people sharing, free full day bike hire for 6 adults from Dungarvan and a complimentary gourmet picnic in deluxe hamper backpacks. The Tour de Cottage costs from €1200 for six people sharing, and guests of the Cliff Cottage also have access to The Well by the Sea facilities. After a day of cycling, return to your luxury accommodation in Cliff House Hotel or Cliff Cottage where you can enjoy terrace dining while watching the sun set over the sea, invigorating cliff walks, a bracing swim in the Irish sea or in the much warmer indoor pool, a dip in the outdoor hot-tub while enjoying the fresh sea air and stunning views over Ardmore Bay and much more.